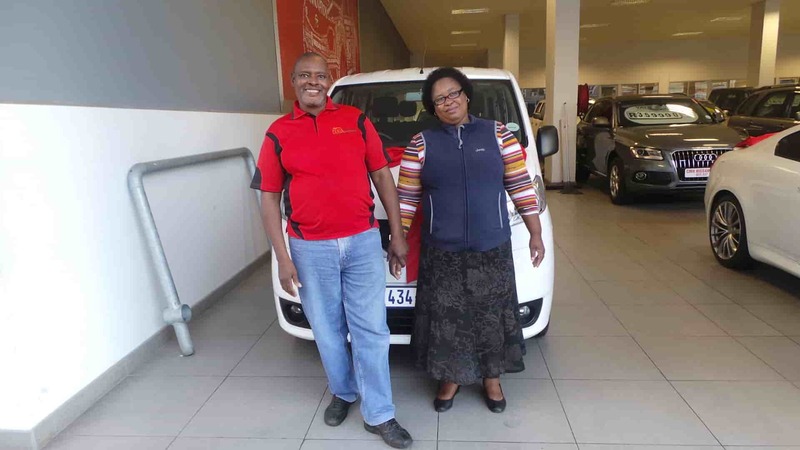 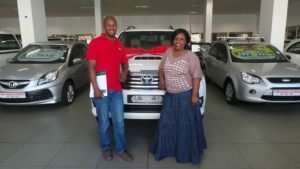 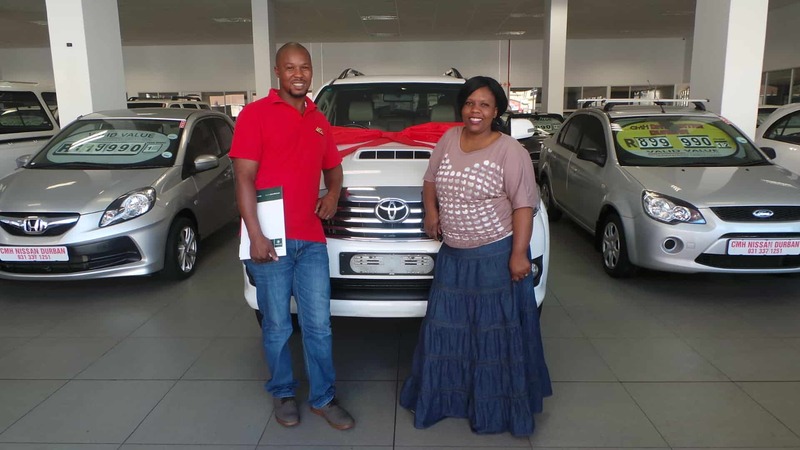 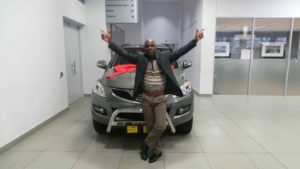 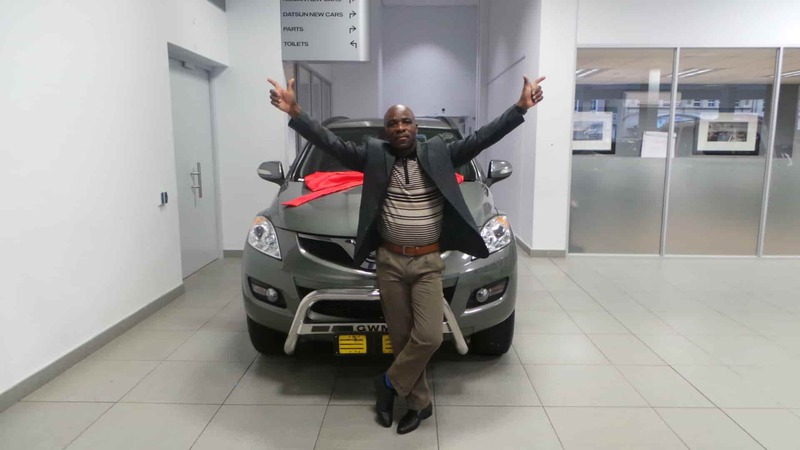 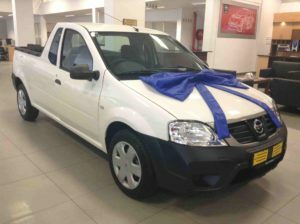 Mr Selby Mthethwa’s Nissan NP200 ready for collection. 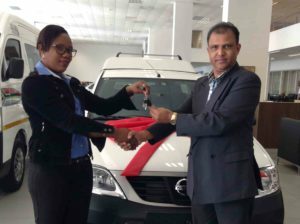 Mr Mitchell with Sales Exec, Dharmesh Parbhoo about to un cover his Datsun Go. 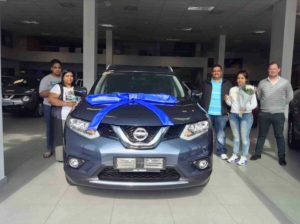 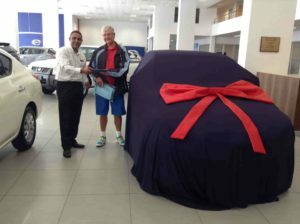 Mr Avash Jairam brought his whole family to take delivery of a Nissan X-Trail from Sales Exec, Daniel Nash. 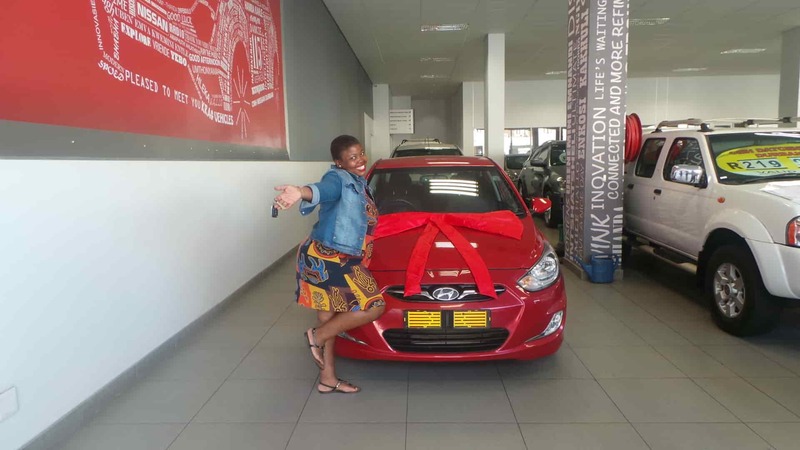 Miss Mkhize very excited to drive away in this pre-owned Hyundai Accent.